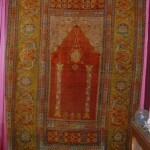 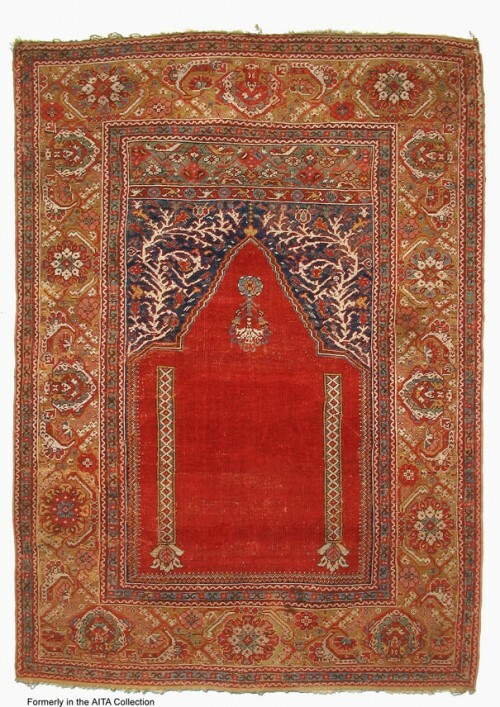 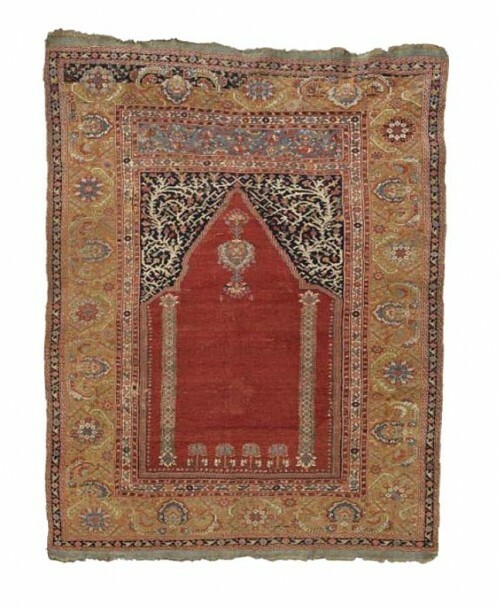 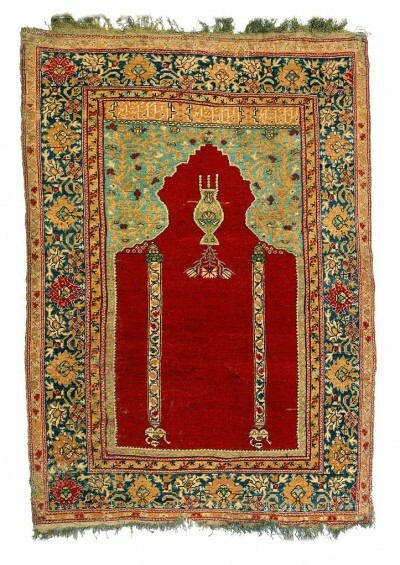 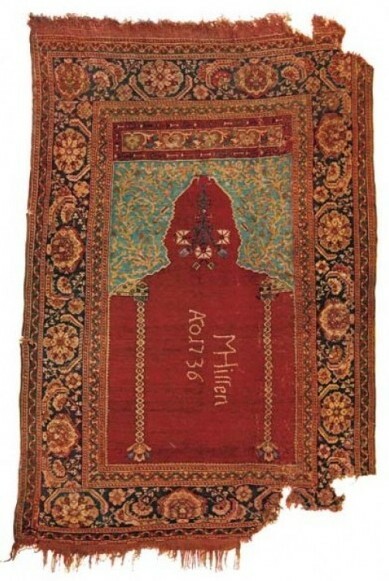 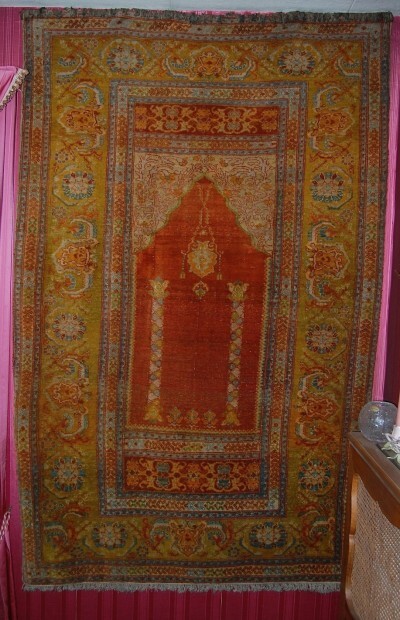 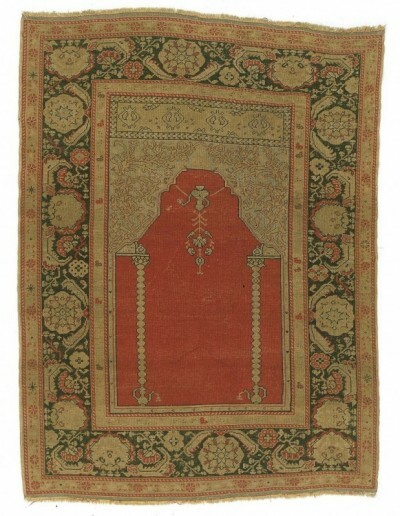 There are some comparable examples in Church and Museum collections in Transylvania published in Antique Ottoman Rugs in Transylvania. 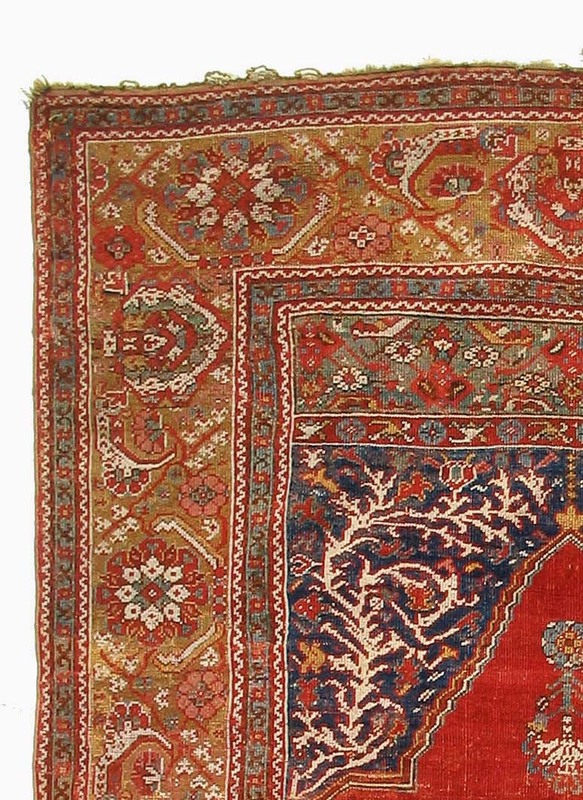 The border is more openly drawn, thus being closer in feel than is usual for Ghiordes rugs of this group to the ‘Transylvanian’ prototypes made earlier in the seventeenth century. 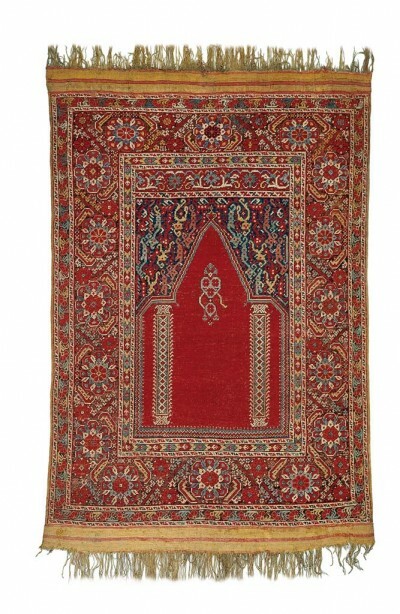 Notable is the very nice design of the white spandrels on a blue ground. 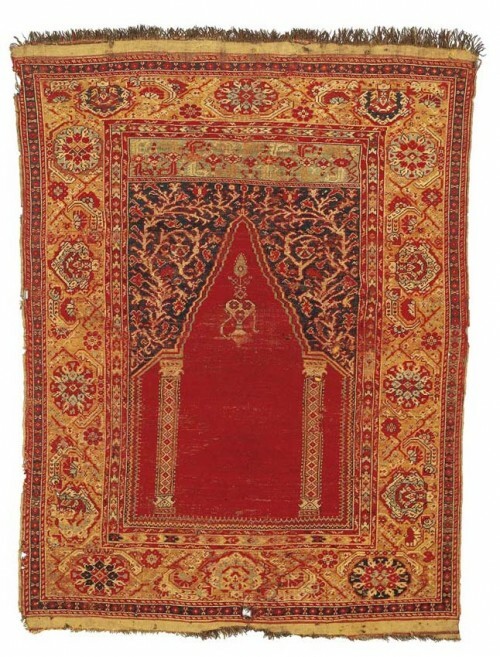 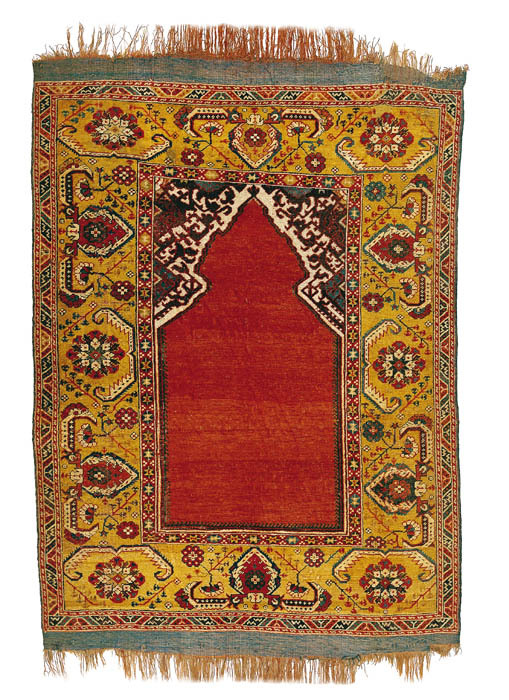 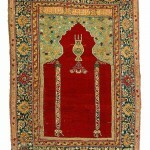 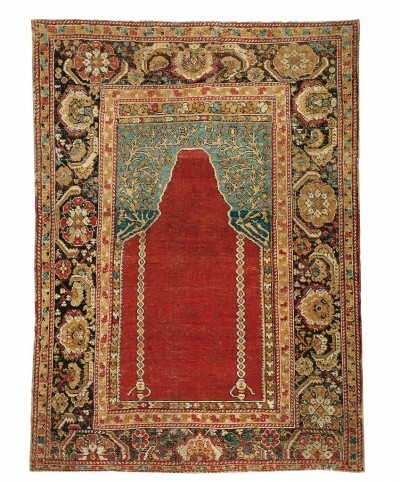 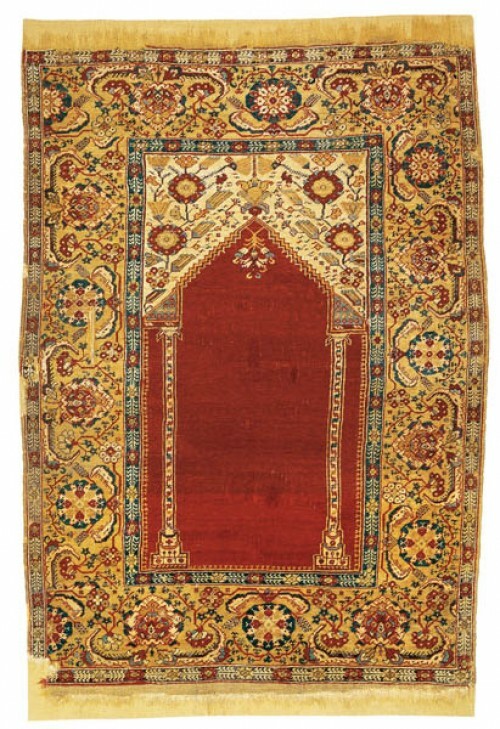 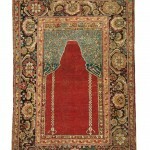 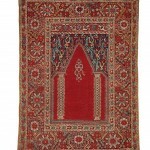 Here are a few examples of prayer rugs, from mid 17th c. to end of 19th century, all showing the same design. 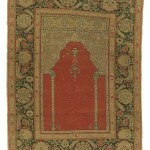 The examples with the columns having a clear architectonic feature relate to the ‘Transylvanian’ group.